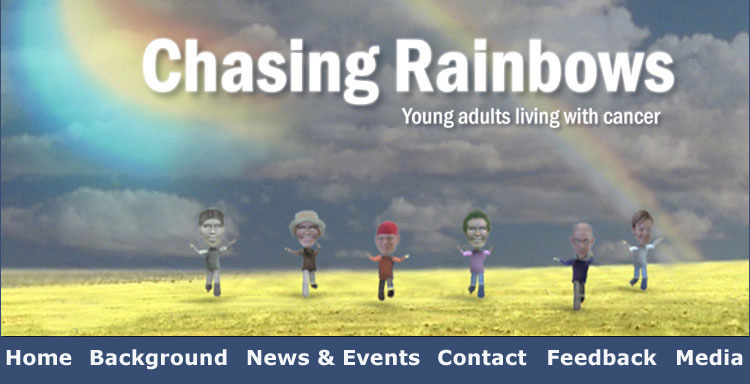 View the Chasing Rainbows blog! Listen to the Chasing Rainbows theme song and read the lyrics. young. See an 8-minute trailer for the film on YouTube. friends, caregivers and medical support teams. Visit the Background page for the story of the film and the people behind it . 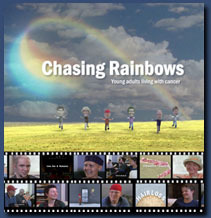 Click on News & Events for details of upcoming screenings, or to find out how you can buy a copy of Chasing Rainbows: Young Adults Living With Cancer. All proceeds from DVD sales go to the BC Cancer Foundation to fund research and support programs for young adults living with cancer.